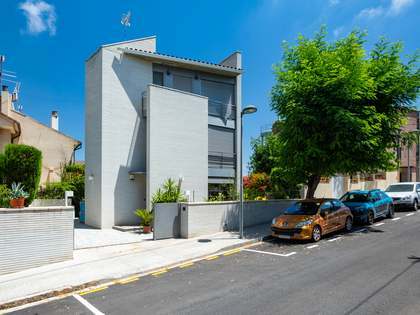 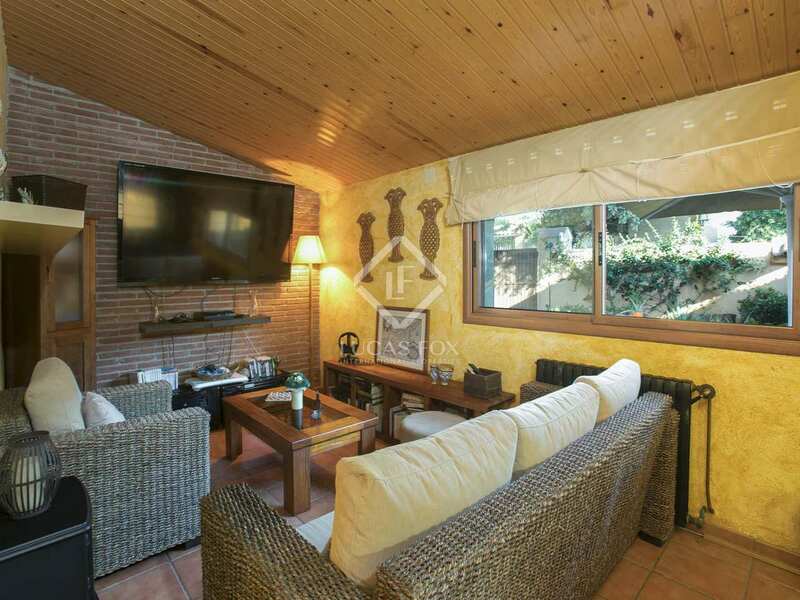 Modernista house dating back to 1914 and restored in 2000, located in the Maresme town of Argentona, walking distance from the town centre and local schools. 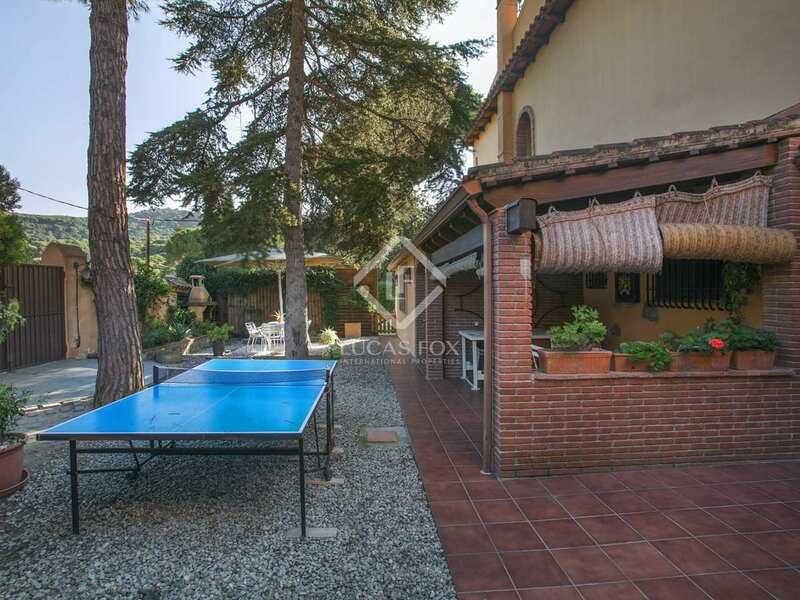 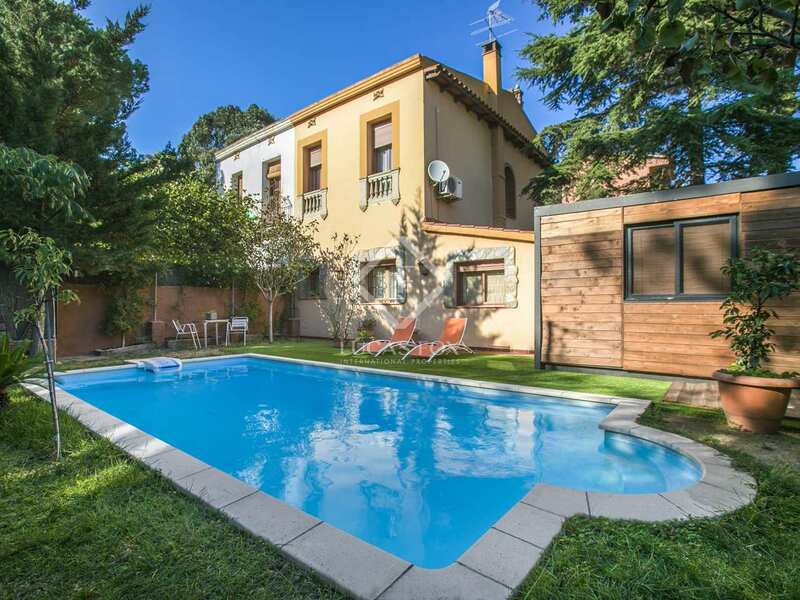 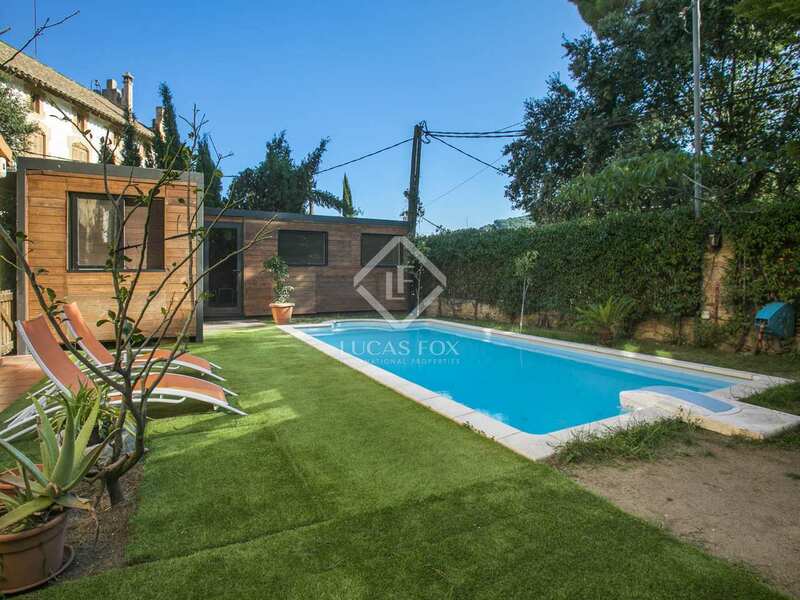 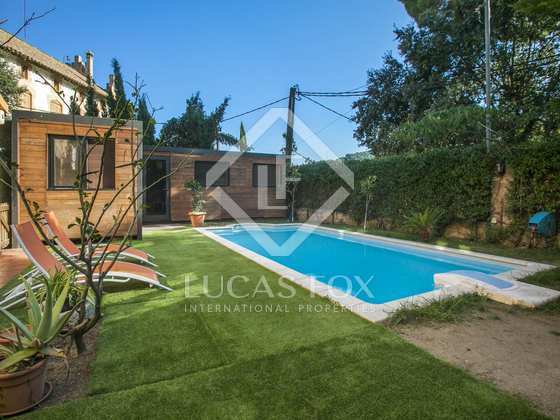 Semi-detached house with a large L-shaped garden and pool located in Argentona; walking distance from the town centre. 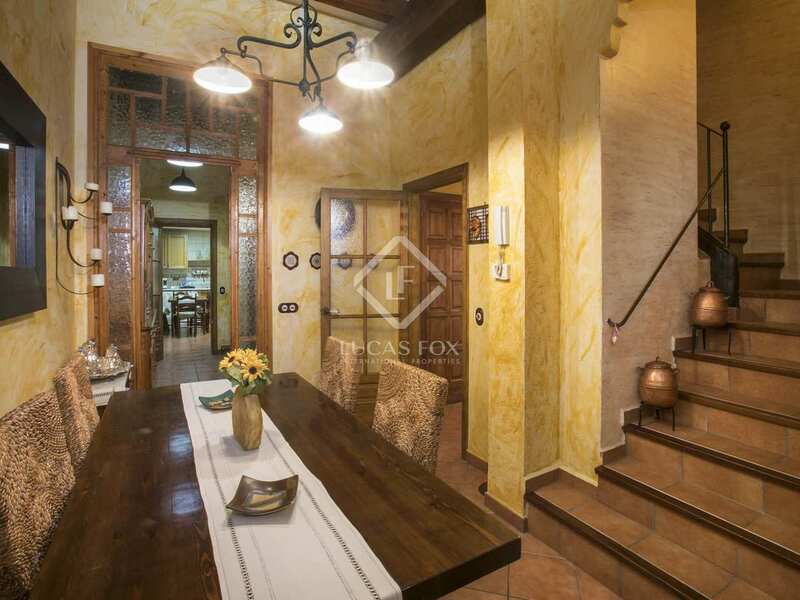 The house, which dates back to 1914, was lovingly restored in the year 2000, maintaining original period details and bestowing the property with a traditional, yet well-cared for appearance. 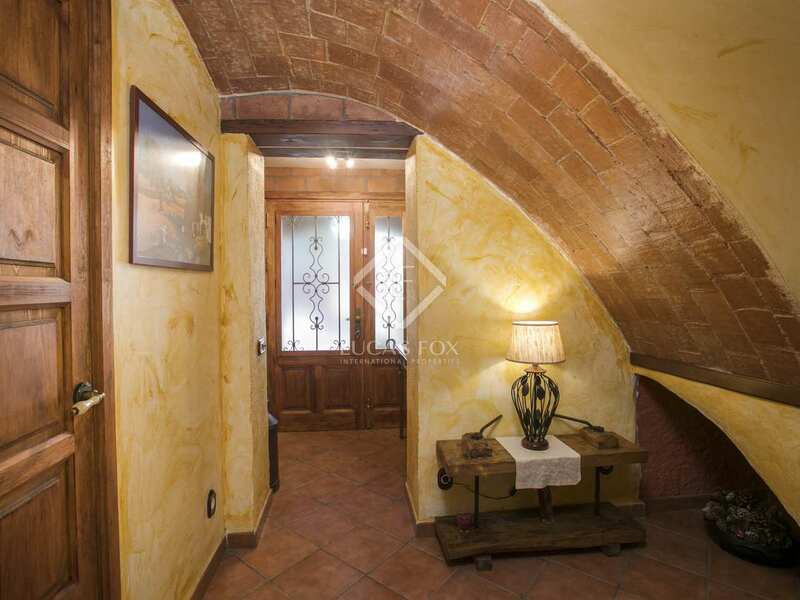 It has the original thick walls that offer great thermal insulation both in the summer and the winter. 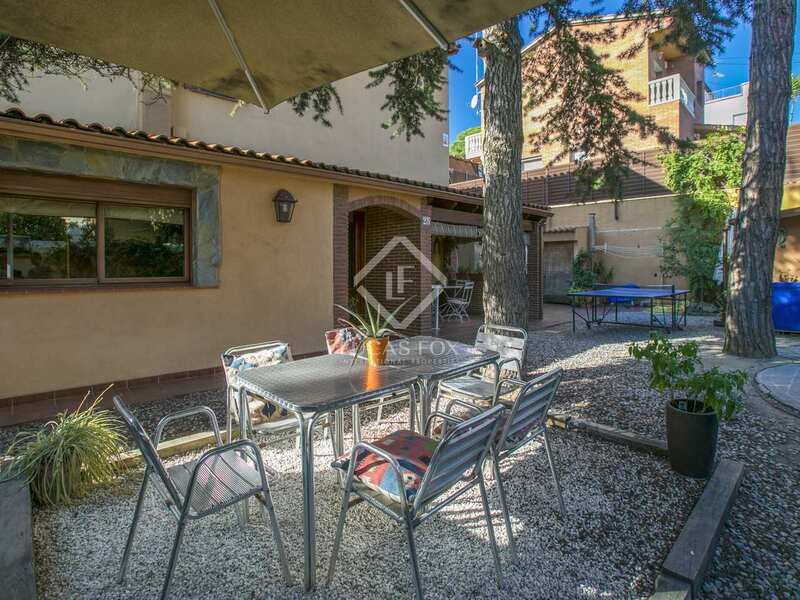 On the ground floor we find the spacious kitchen diner with access to a 15 m² covered terrace, a service bedroom and bathroom and the living room with a fireplace and mezzanine for storage and a sitting room and study. 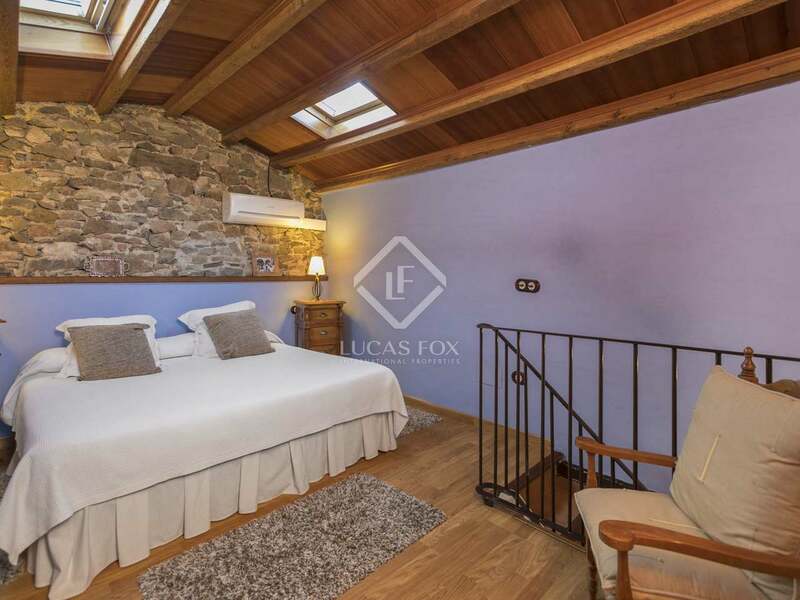 On the first floor we encounter a bedroom with a large dressing room that can be reconverted into a bedroom or an en-suite bathroom and a second bedroom with bathroom that can be joined to the bedroom to create an en suite. 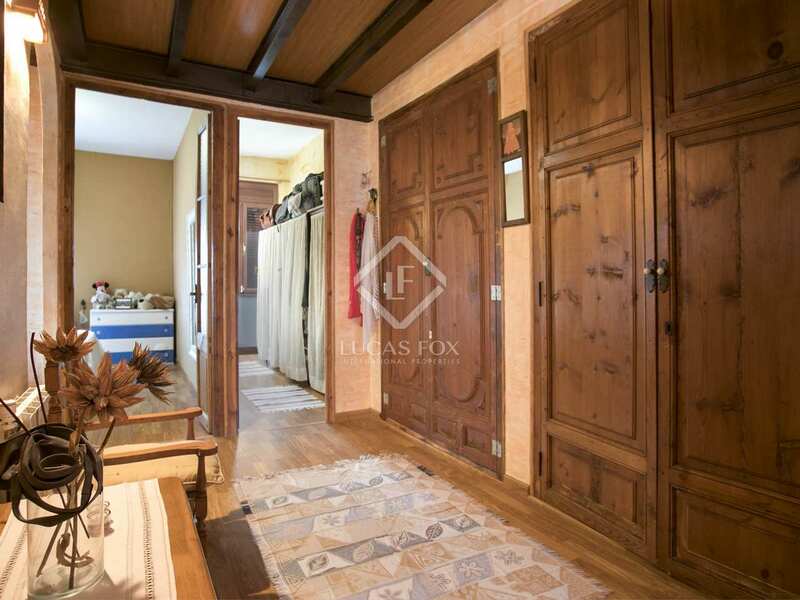 A large hall with closets leads us to the master bedroom with the possibility to create a bathroom and a terrace as well as installing a side window to gain more natural light. 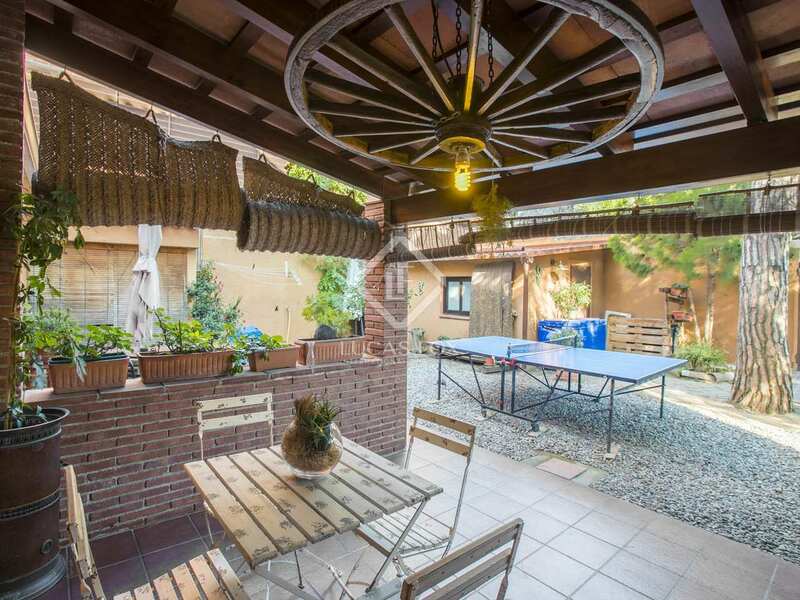 Furthermore, in the garden there is currently a wooden structure which is used to house study and that can be used as guest accommodation or removed to create further outdoor space. 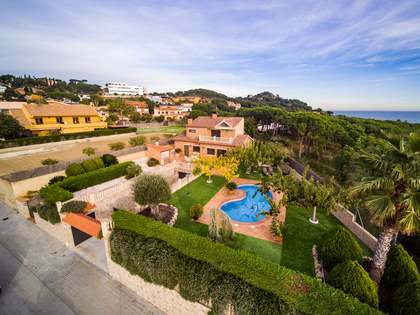 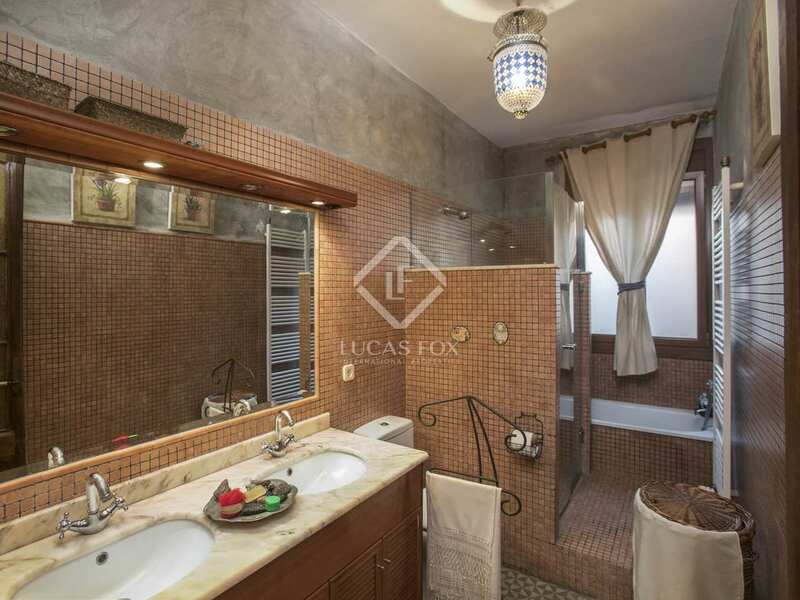 The property appears in the Nota Simple as measuring 144 m² although the real size is 175 m². 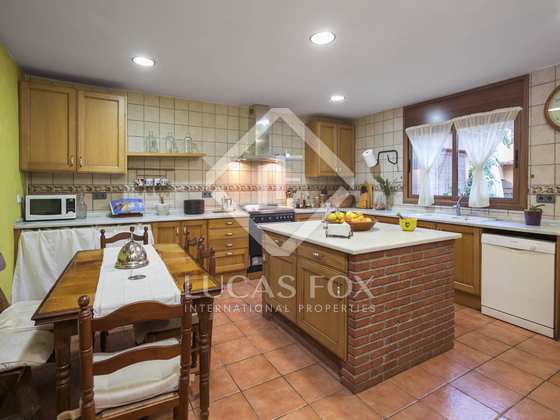 The house is presented in move-in condition and would be ideal for a family, retirees or as a second residence. 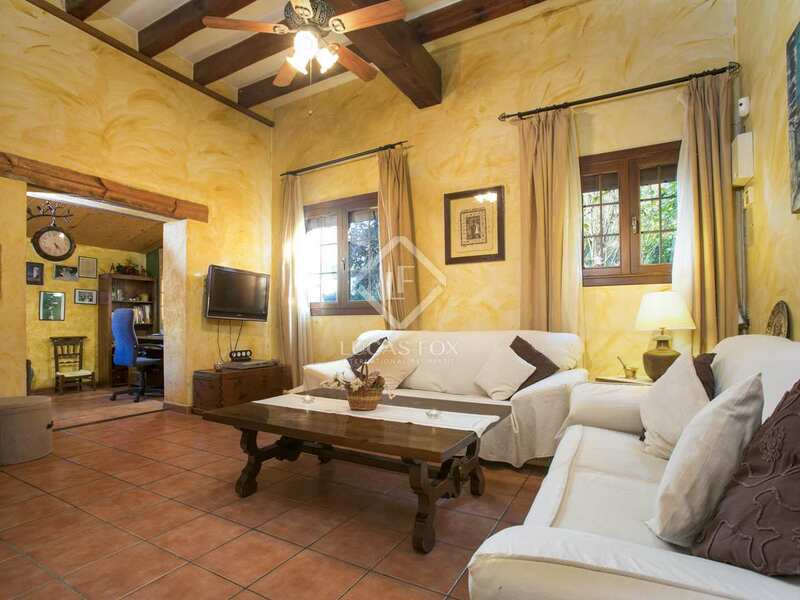 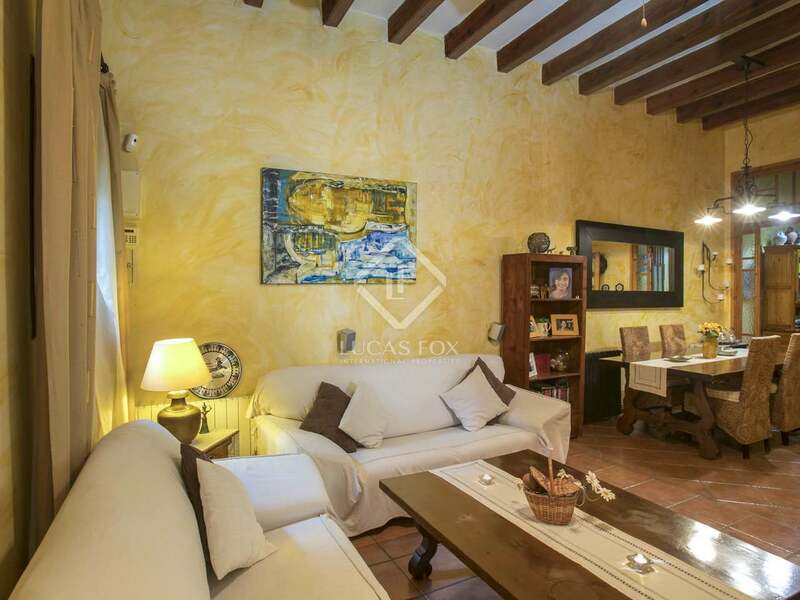 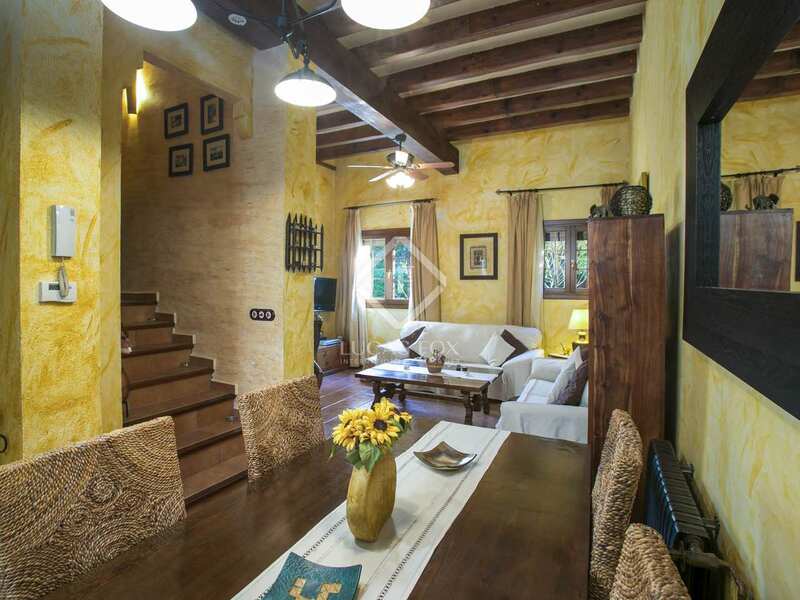 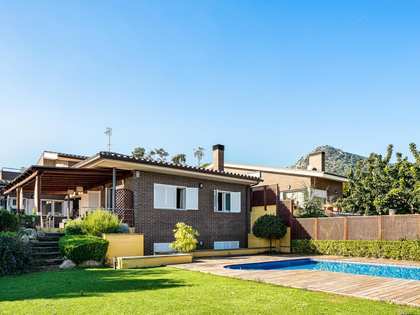 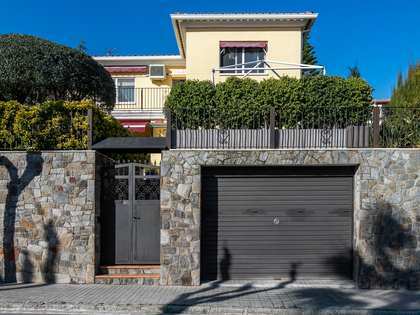 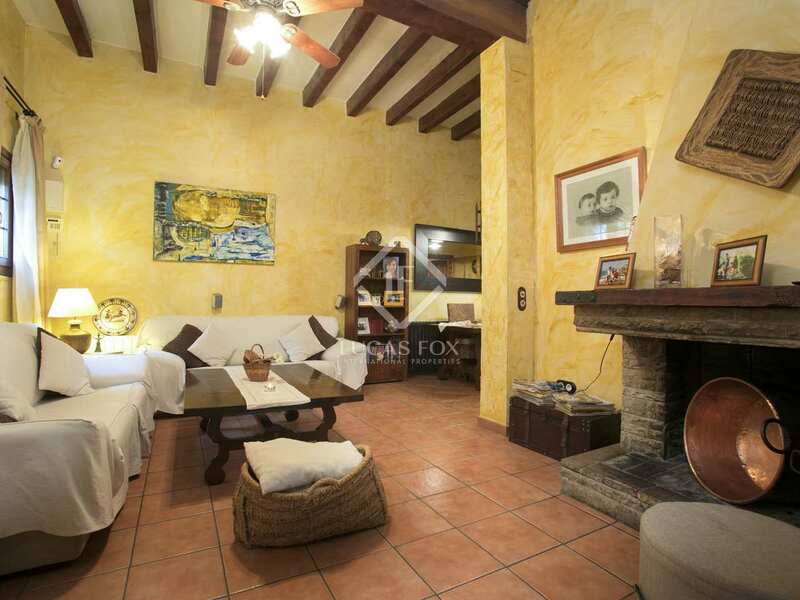 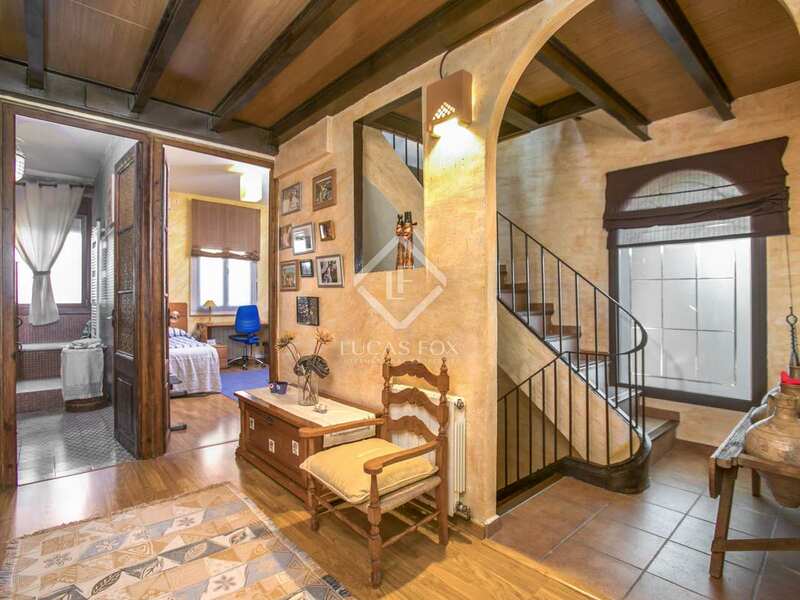 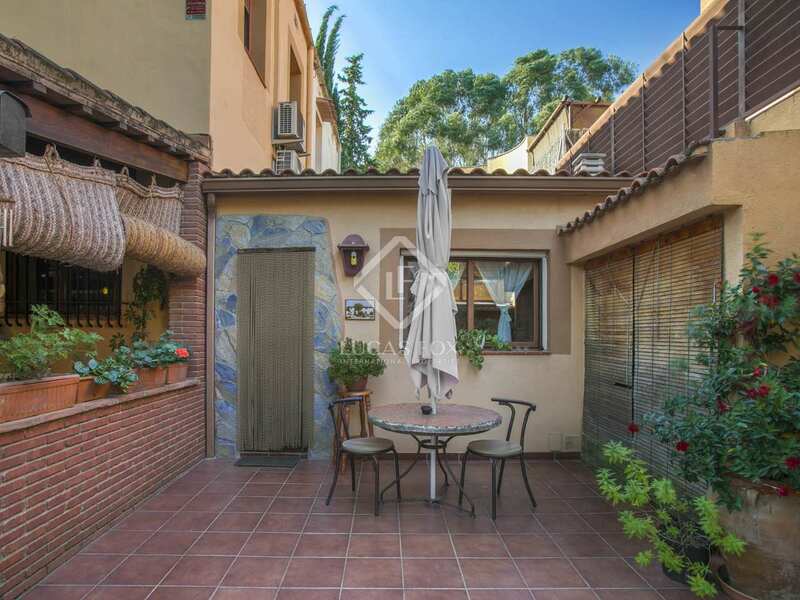 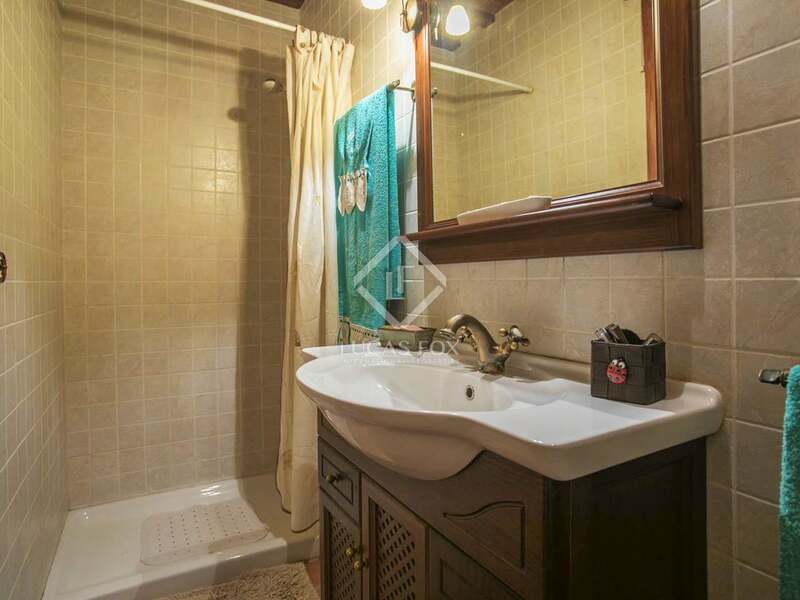 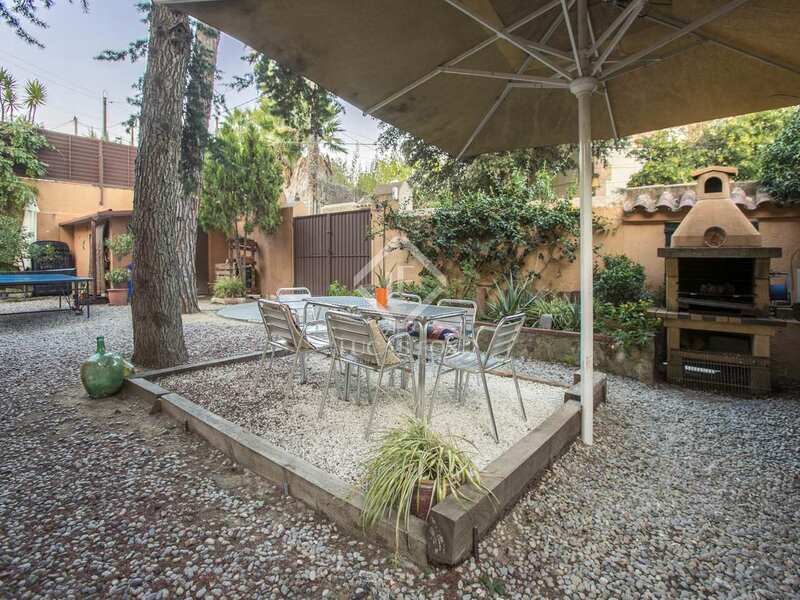 The property is located in a residential area of Argentona, walking distance from the centre and schools. 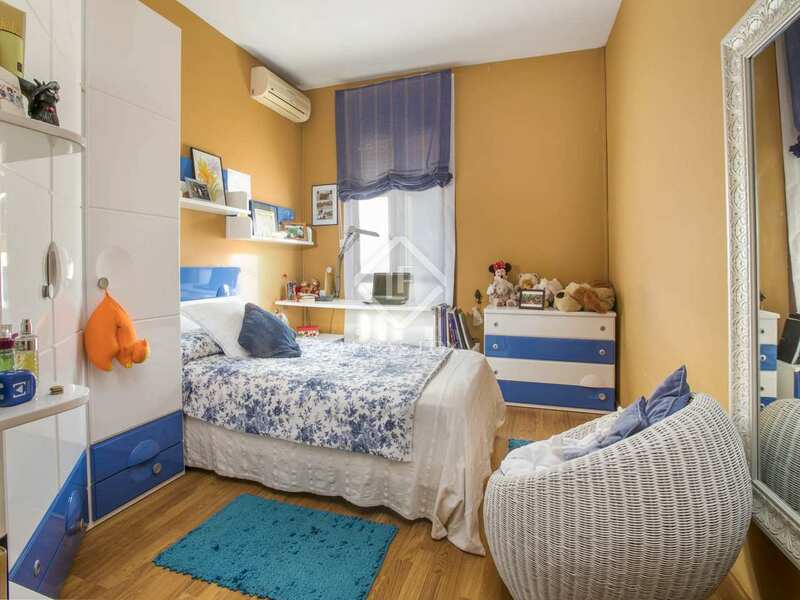 The nearest school is a flat 6-minute walk away while the shops are 8 minutes and the sports centre 10 minutes away.